About This Event: Join The Craig Diez Team for a tail wagging good time to raise much needed funds and awareness for local animals at the Sacramento SPCA. Enjoy free professional photos of your pets, Leatherby’s ice cream and refreshments, face painting, games, a pet costume contest with prizes and more! As a special treat, the SPCA will be bringing a few of its most eligible pets that are begging to meet their forever families. What You Can Bring: Attendees are encouraged to bring a small donation in the form of a check, cash, or one of the following wish list items: canned dog and cat food, gently used or new toys, blankets, beds, towels, kongs, peanut butter and cans of pumpkin. 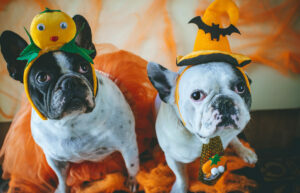 And don’t forget to dress up your pet in a costume for the chance to win one of three spooktacular prizes! To make this a paw-sitively safe event for everyone, pets are required to be on leashes at all times. Contact us for more information!